Yum Yum – Win Ice Cream for a Year! 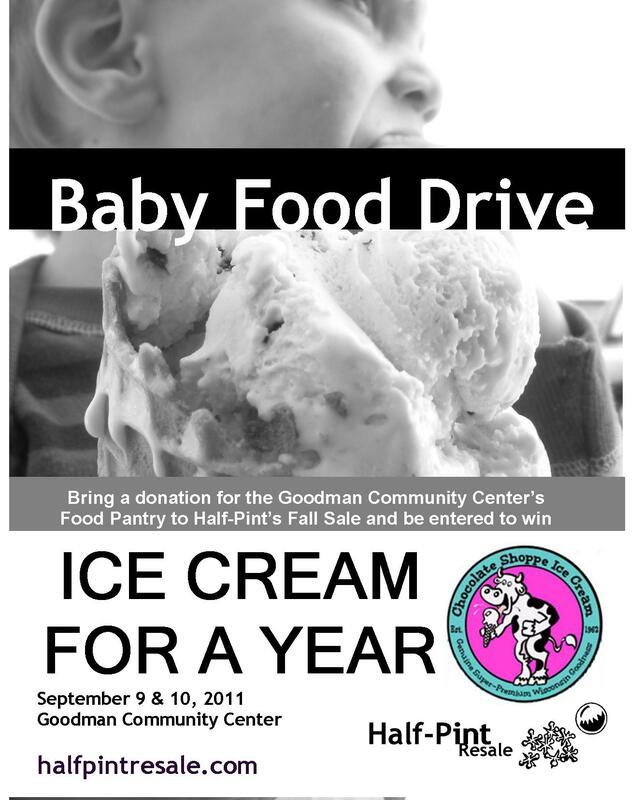 Chocolate Shoppe Ice Cream is again encouraging all of you to do good for the community by bringing in a donation of baby food (or any other food/formula/personal care item) for our Baby Food Drive benefiting the Goodman Community Center’s Fritz Food Pantry. So add baby food to your grocery list this week and bring it to the sale on Friday or Saturday. Look for a bin in the lobby area and make sure to enter your name in the drawing! Who wouldn’t want Ice Cream for a Year??? ?